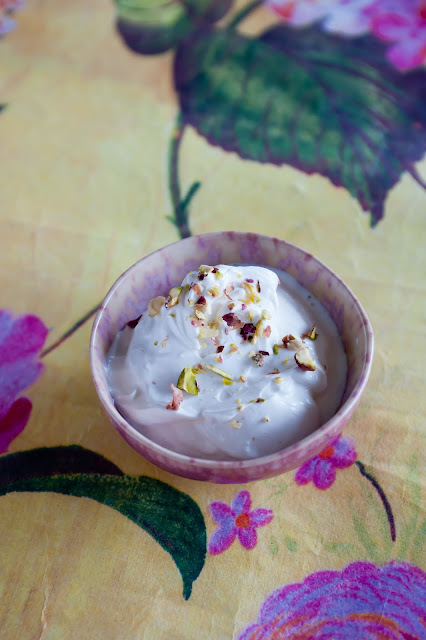 Yogurt or dahi, is made from cow's milk and a bit of actual yogurt which is the starter to this process. I recall my grandmother making a fresh bowl every morning. I also clearly remember her removing a spoonful or two before serving it at the table for the next days preparation. Eating dahi with lunch was a routine at their table and never an option. This reserved yogurt is referred to as the 'jum-un' or the binder. 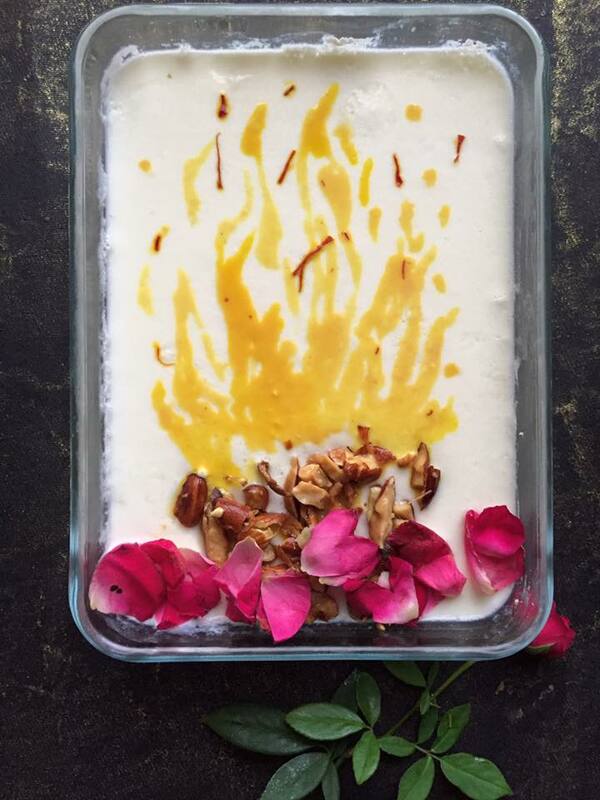 Healthy for the stomach lining and the gut, yogurt cools down the spices added to Parsi cooking. Including a sweetened yogurt was often a palate cleanser. Similar to serving sorbet between courses with haute` cuisines. Creamy, sweet and delicious. 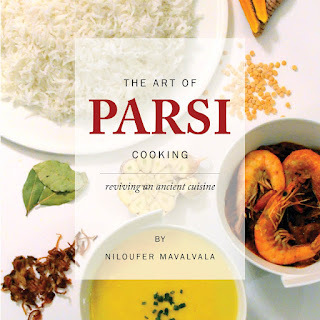 Parsi Mithu Dahi from the Parsi Food repertoire. Mix the milk and sugar. Bring them to a boil, stirring it along to quickly melt the sugar. Lower the heat and gently simmer it till it reduces to 8 cups. Remove it from the fire and cool it till tepid warm. Add a pinch of salt. Preheat the oven to 300F/150C degrees. Once the temperature is reached turn it off. Apply 1/2 cup of ready curd all over the dish, (use the dish you wish to serve in.) Add the other half to the milk, mix well. Gently pour the milk into the bowl. Cover lightly before placing it in the warmed oven. This should set in 3 hours. It should have a quiver but not runny. Remove from the oven, allowing it to cool completely before refrigerating. Use a metal spoon for the process. It is best to use whole milk over skimmed for it to set and for the rich flavour. A flatter dish rather than a deeper dish will help to set the dahi more perfectly because of the even distribution. If your yogurt is a tinge sour it is the starter yogurt that has to be changed. The fresher the "jumun" the more perfect the result. The perfect Dahi/yogurt should remain whole when spooned. The more you boil down the milk initially the creamier it will be. 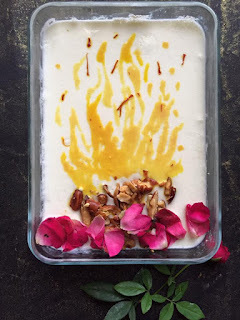 Kainaaz R. Patell The very first time I made mithoo dahi at home. Thank you, Niloufer Mavalwala for your recipe.